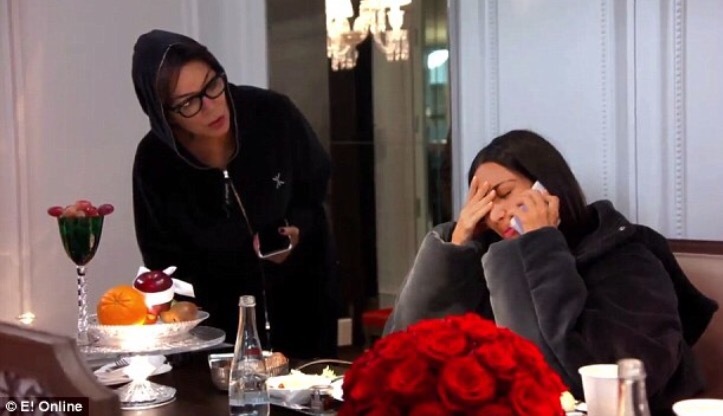 The Kardashians have released a 30 second trailer showin Kim recounting her robbery ordeal. And the clip also shows the phone call she received about Kanye’s breakdown. 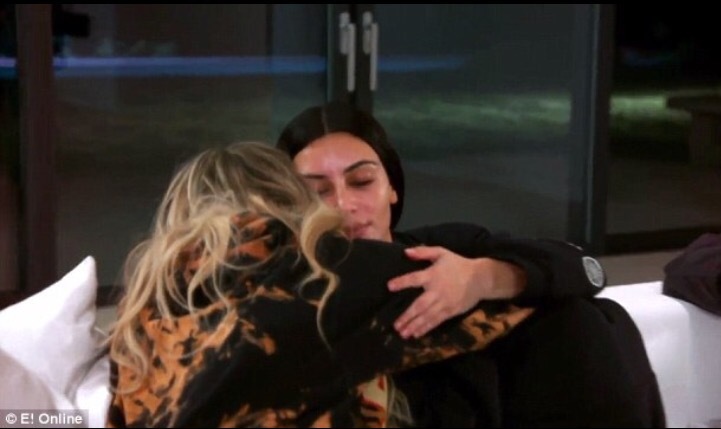 Kim spoke candidly for the first time about how she feared she would be killed in the October $10 million jewellery robbery. She shared her terrifying ordeal in Paris and Kanye’s mental struggles. 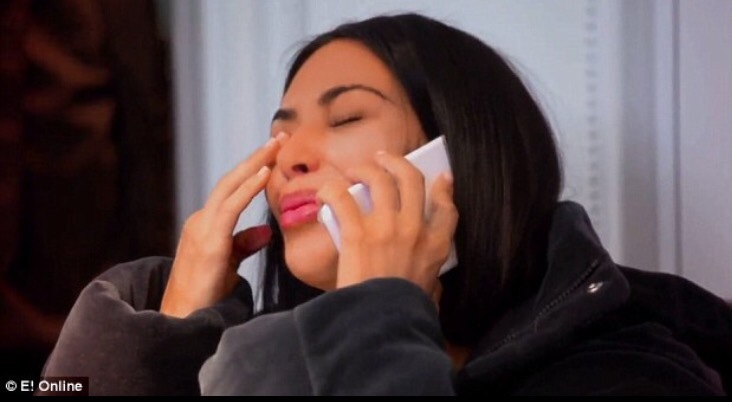 The robbery and Kanye’s breakdown made the end of 2016 an emotional and scary time for the whole Kardashian clan. It was not known how or if they would be addressed on the highly rated reality show. This clip shows the Kardashians will not hold back on the truly scary times they faced in 2016. In the clip Kim shares how truly frightened she was during the gun wielding robbery. 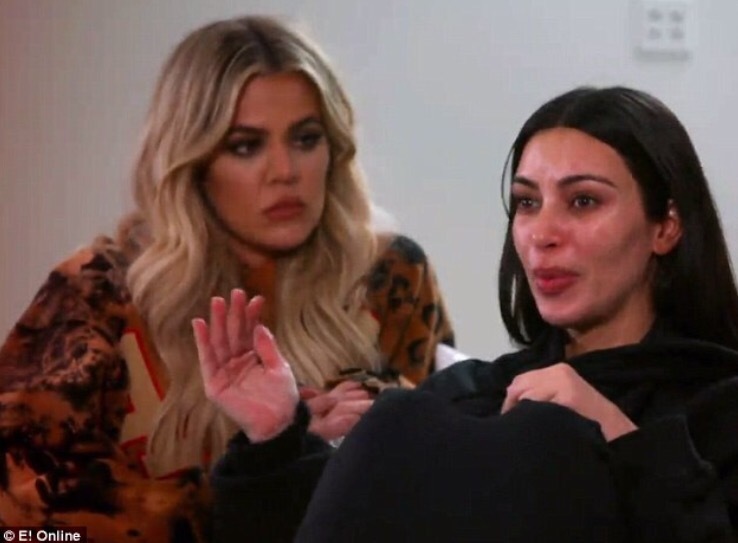 Visibly distraught she sits curled in a ball on the couch, with sisters Khloe and Kourtney listening to her harrowing recount of the when the armed gunmen broke in and stormed her hotel. Kim can barely speak coherently as her emotions are clearly high. And then just a month later her family go through another crisis with Kanye West being admitted to hospital suffering a mental breakdown. Kanye also cancels the rest of his tour and New Years concert. The clip shows Kim at the table about to eat, then she is distraught when taking a phone call and learning of her husbands admiration and to UCLA Medical Centre from a mental health breakdown. The trailer does not share exactly who phoned Kim, whether it was Kanye himself or his trainer Gunnar Peterson who was with Kanye at the time of his breakdown. ‘Don’t scare me, please. What’s going on?’ Kim says, crying on the phone. Since both of these scares the family has stayed out of the public eye and off social media. Highly unusual for the reality family. It has only been since the beginning of 2017 that Kim and Kanye have started to make a return to their public profiles. Enduring marriage trouble rumours, the couple have remained strong and look set to return to their social media ruled lives.